The quench dynamics of a binary Bose-Einstein condensate crossing the miscibility immiscibility threshold and vice versa is explored, both within and more importantly beyond the mean-field approximation. Increasing the interspecies repulsion leads to the filamentation of the density of each component, involving shorter wavenumbers and longer spatial scales in the many-body approach. These filaments appear to be strongly correlated and exhibit domain-wall structures. Following the reverse quench process multiple dark-antidark solitary waves are spontaneously generated and subsequently found to decay in the many-body scenario. We simulate single-shot images to connect our findings to possible experimental realizations. Finally, the growth rate of the variance of a sample of single-shots probes the degree of entanglement inherent in the system. Over the last two decades the realm of atomic Bose-Einstein condensates (BECs) has offered an optimal venue for the examination of quantum phase transitions. 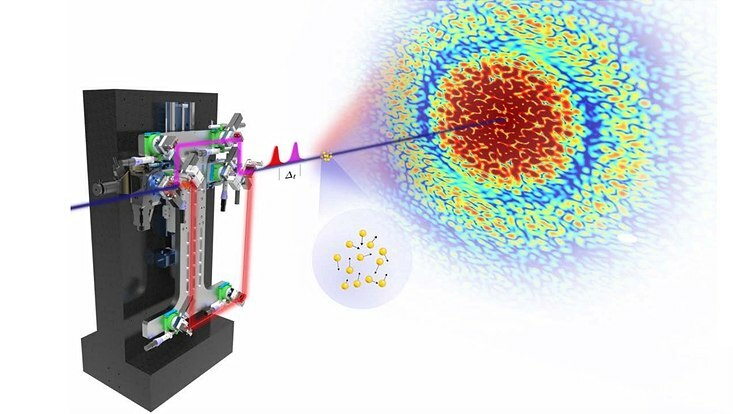 In this latter context phase separation processes in multi-component BECs has been a focal point of research. However, despite the huge progress in this field, the majority of the relevant studies has been focused on a mean-field (MF) description while far less emphasis has been placed at the many-body (MB) character of such a quantum phase transition. Fig. 1: Filamentation of the one-body density evolu-tion following a positive quench. Middle: DAD gener-ation in the negative quench scenario. Bottom: The corresponding simulated single-shot absorption im-ages. In the present work we explored the quench-induced phase separation dynamics of an inhomogeneous repulsively interacting binary BEC both within and beyond the MF approximation including multiple orbitals. To achieve such a miscible to an immiscible transition, the so-called positive quench scenario, the intraspecies interactions are held fixed and the system is abruptly driven out-of-equilibrium by switching on the interspecies repulsion. Significant variations between the two approaches are observed during the unstable dynamics. Indeed, quenching from the phase miscible to the phase immiscible side leads to the filamentation of the density of each component while the dominant wavenumber associated with the emerging phase separated state appears to generically be higher in the MF case (see Fig. 1). The one- and the two-body coherences indicate the presence of correlations between the filaments of the same or different species signaling the presence of fragmentation and entanglement respectively. In particular, strong one-body correlations appear between an outer and an inner filament indicating their tendency of localization. 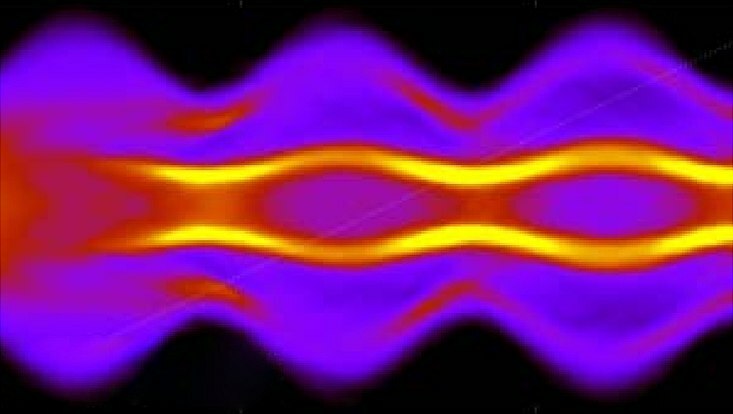 Furthermore, these non-parity symmetric (with respect to the trap center) filaments are found to be strongly anti-correlated at the two-body level signifying a negligible probability of finding two bosons of the same species one residing in the outer and one in the inner filament. More importantly, combining the behavior of one- and two-body correlations supports the formation of domain-wall structures, i.e. interfaces that separate these distinct filaments, within and between the different species (see Fig. 2). Fig. 2: One-body (left) and two-body intraspecies (right) correlation functions in the positive quench. Bottom: The corresponding two-body interspecies correlation function. In sharp contrast to the above dynamical manifestation of the phase separation, in the negative quench scenario, namely following a quench from the immiscible towards the miscible regime of interactions, multiple dark-antidark (DAD), i.e. density humps on top of the BEC background, solitary waves are spontaneously generated both within and beyond the MF approximation. At the MB level many decay events, at the early stages of the dynamics, increase the production of DAD solitary waves with the product of each decay being a slow and a fast DAD structure (see Fig. 1). The latter increase results in multiple collisions and interference events between these matter waves, and most of them are lost during evolution. Furthermore, to provide experimental evidences in both the positive and the negative quench scenarios, we simulated single-shot absorption images utilized for the first time herein for binary mixtures (see Fig. 1). In doing so, we were able to showcase that the growth rate of their variance resembles the growth rate of entanglement inherent in the system with deviations among the variances of the two species indicating its fragmented nature. New Journal of Physics 20, 043052 (2018).